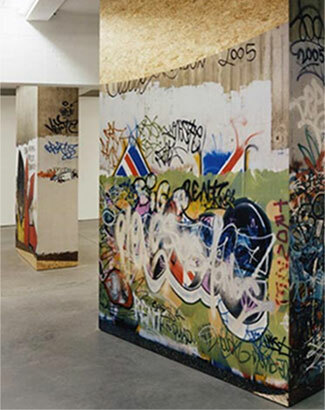 Replicant is an interpretation of graffiti-covered supporting columns from underneath the M25, a motorway that circles London. 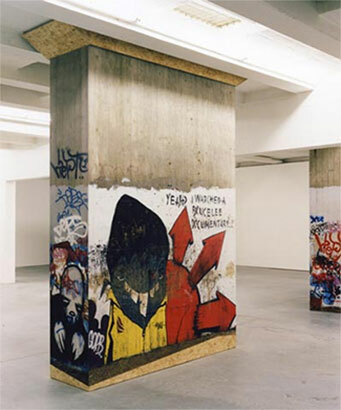 The work is constructed from high-resolution photographs mounted on plywood, which shows through at top and bottom. 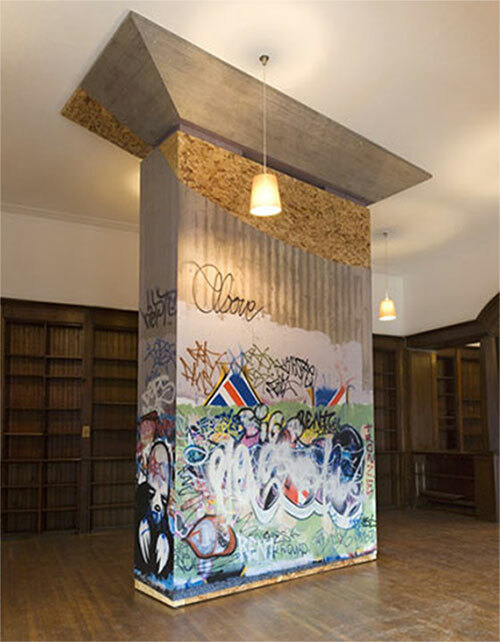 The work was installed floor-to-ceiling in the Dickens Library of the Mary Ward House, Bloomsbury, London.